Carl Jung, who lived 26 July 1875 – 6 June 1961, was a Swiss psychiatrist, an influential thinker and the founder of analytical psychology. Jung's approach to psychology has been influential in the field of depth psychology and in countercultural movements across the globe. Jung is considered as the first modern psychologist to state that the human psyche is "by nature religious" and to explore it in depth. He emphasized understanding the psyche through exploring the worlds of dreams, art, mythology, religion and philosophy. Though not the first to analyse dreams, he has become perhaps the most well known pioneer in the field of dream analysis. Although he was a theoretical psychologist and practicing clinician, much of his life's work was spent exploring other areas, including Eastern and Western philosophy, alchemy, astrology, sociology, as well as literature and the arts. 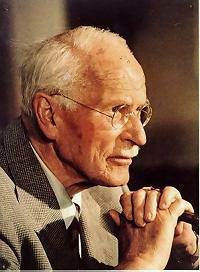 Jung emphasized the importance of balance and harmony. He cautioned that modern people rely too heavily on natural science and logical positivism and would benefit from integrating spirituality and appreciation of unconscious realms. He considered the process of individuation necessary for a person to become whole. This is a psychological process of integrating the conscious with the unconscious while still maintaining conscious autonomy. Individuation was the central concept of analytical psychology. Jungian ideas are routinely discussed in part by curriculum of introductory psychology course offerings with most major universities, and although rarely covered by higher level course work, his ideas are discussed further by the Faculty of Humanities. Many pioneering psychological concepts were originally proposed by Jung, including the Archetype, the Collective Unconscious, the Complex, and synchronicity. A popular psychometric instrument, the Myers-Briggs Type Indicator (MBTI), has been principally developed from Jung's theories. The notes above, are taken from Wikipedia, where you can read much more about Carl Jung: http://en.wikipedia.org/wiki/Carl_Jung. He was a prolific writer, and his ideas have been the subject of a vast literature. You can see a list of the Canberra Jung Society library collection here.